You know how you get obsessed with the idea of places, sometimes? 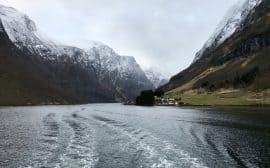 When you see certain travel destination pictures pop up constantly on Pinterest as you’re scrolling through, and you think to yourself, “I mean, that’s beautiful but there’s no WAY it looks like that in real life”? 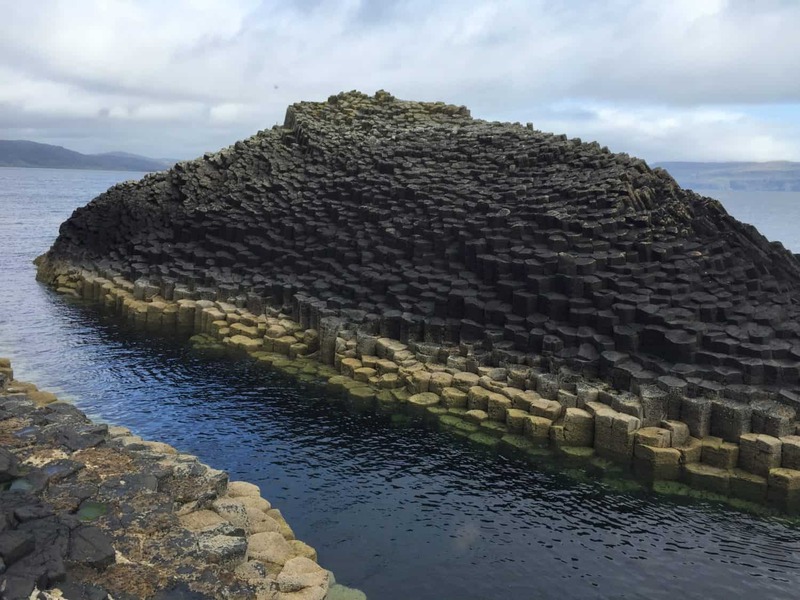 The Isle of Staffa is one of those pins, and one of those places. 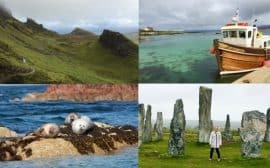 When I started researching our Scotland trip, the Isle of Staffa was following me around on Pinterest. But after visiting the super tiny piece of rock, I can tell you that it most definitely DOES look like that in real life. 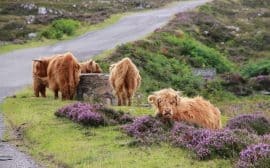 If you’re planning a trip to Scotland, here are other resources to help! 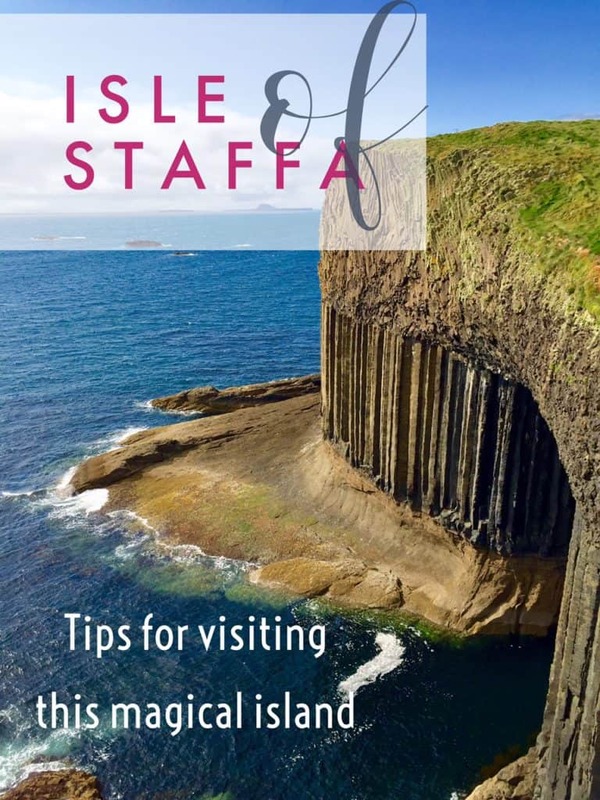 What is the Isle of Staffa? 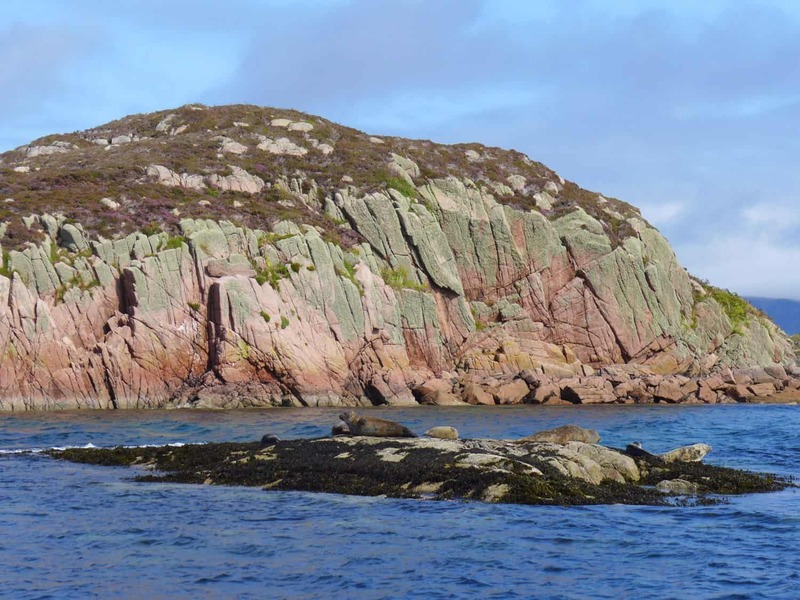 The island is part of Scotland’s Inner Hebrides, about equidistant off the coast of the islands of Iona, Mull, and Ulva (off Scotland’s west coast). It’s all of 82 acres, or all of .12 miles. Seriously, super tiny. 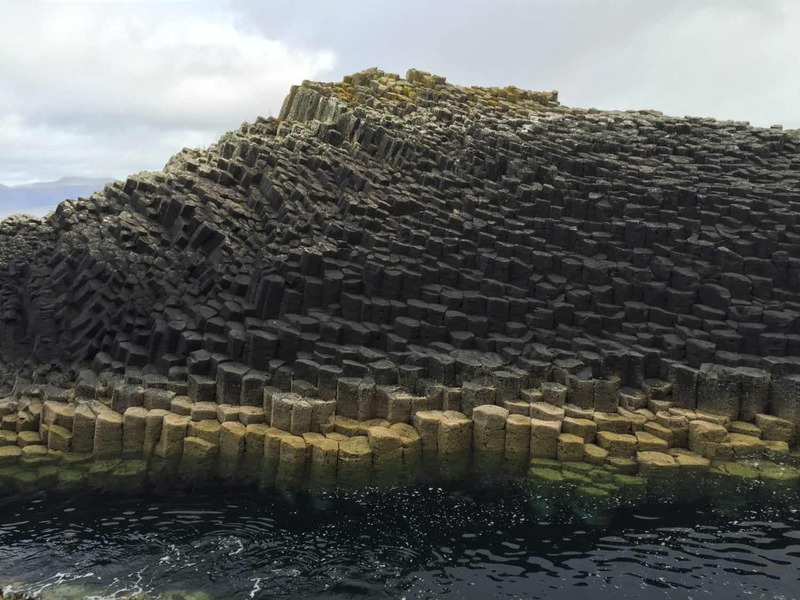 But it’s famous because of its breathtaking natural rock formations—it looks like something out of a sci-fi movie. 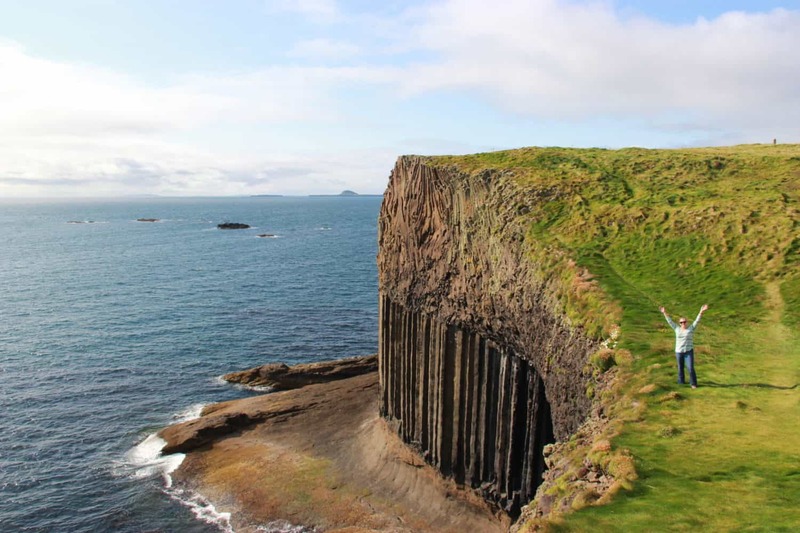 It’s also known for being the home to Fingal’s Cave, which the composer Mendelssohn made famous. In other words, it’s amazeballs. After having almost the entire trip be chilly and rainy, we were blessed with gorgeous blue skies for our afternoon tour with Staffa Trips. 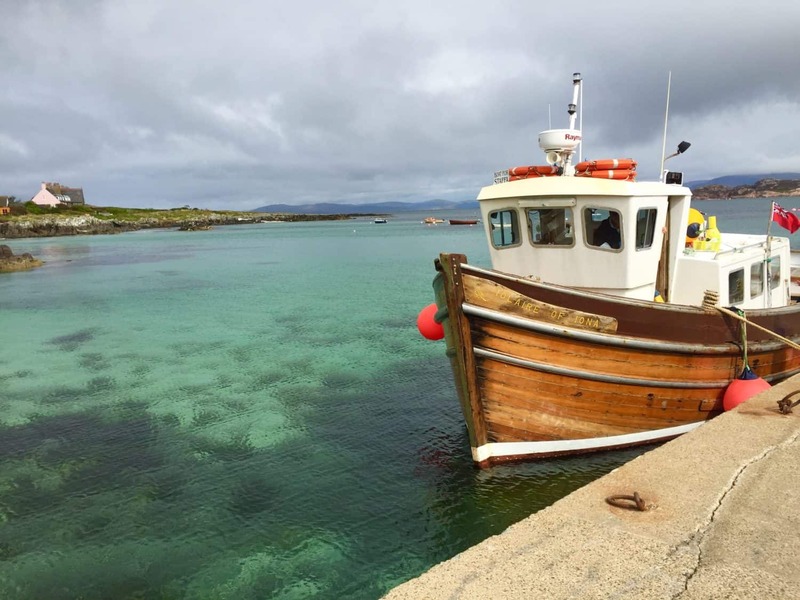 We were super excited as we boarded the Iolaire of Iona and took off for the tiny, almost mythical island. I love being out on the water in pretty much any circumstances, and these were some of the best. 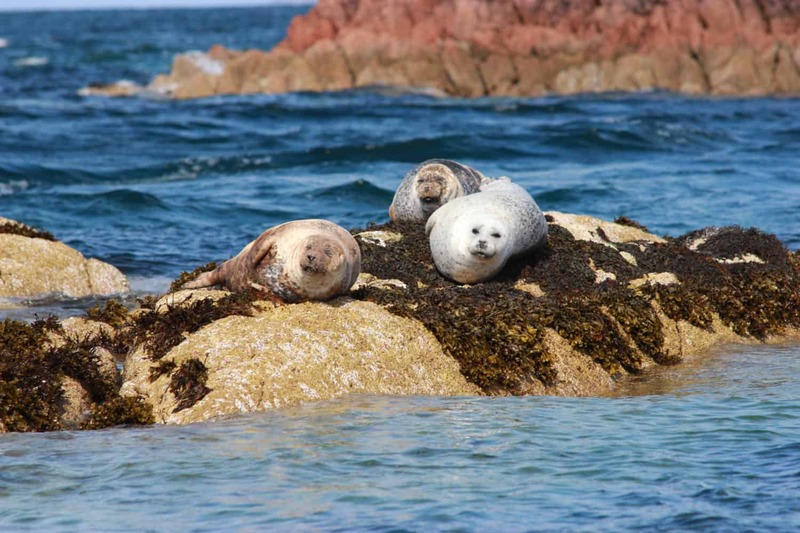 We bobbed up and down and got attacked by the wind, then squealed over the cute chubby seals, framed by the pink, craggy rocks and bright blue water. 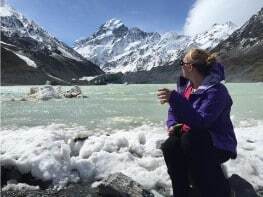 Want to plan more amazing trips? You can download my e-book “Epic Trip Planning 101” for free! 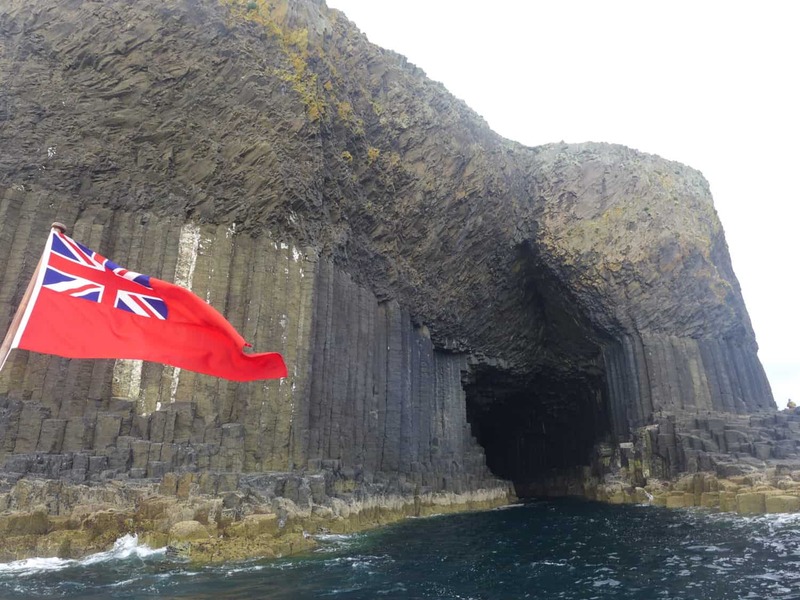 Then we got our first glimpse of Staffa! People are fond of saying that the island rises up out of the sea like a cathedral. 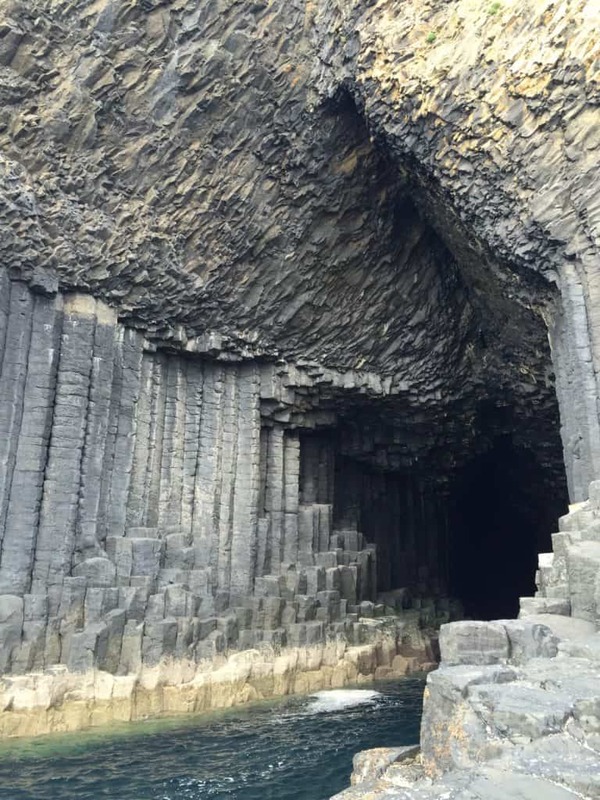 It’s a bit of an odd analogy, but I’m not one to argue—there’s a majestic (natural) architecture and sense of the dramatic that Staffa completely nails. Our boat captain swung around and slowed down to make sure we could get some great angles and pictures of the crazy rock formations before we even set foot on solid ground. It also gave the boat before us to get a chance to onboard their passengers and take off, so we had the island to ourselves. Then we disembarked and got down to business. You’ll want to read your group a bit to see if they’re going to all rush straight for Fingal’s Cave. Ours spread out quite a bit, so my parents and I booked it there first. But if everyone is headed there, I’d recommend going up on top of the island first instead. Just make sure you keep an eye on time! 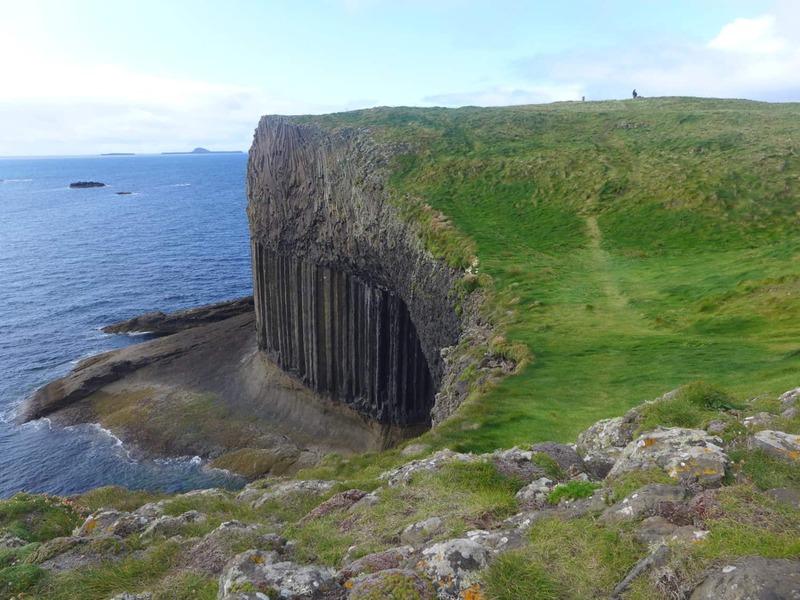 The famous Fingal’s Cave, or Cave of Melodies, lives up to the hype. It’s a bit challenging to photograph, but the acoustics are gorgeous. In case you’re wondering why it’s called the Cave of Melodies, Mendelssohn wrote his “Hebrides Overture” after visiting the cave and hearing how the water and air reacted with the unique structure. My mom, dad, grandma and I sang some three-part harmony to see how the sound would echo and amplify—it was amazing! Finally, we climbed up on top of the island and spent some time walking around. The grass was lush, spongy, and shiny, and the view was incomparable. 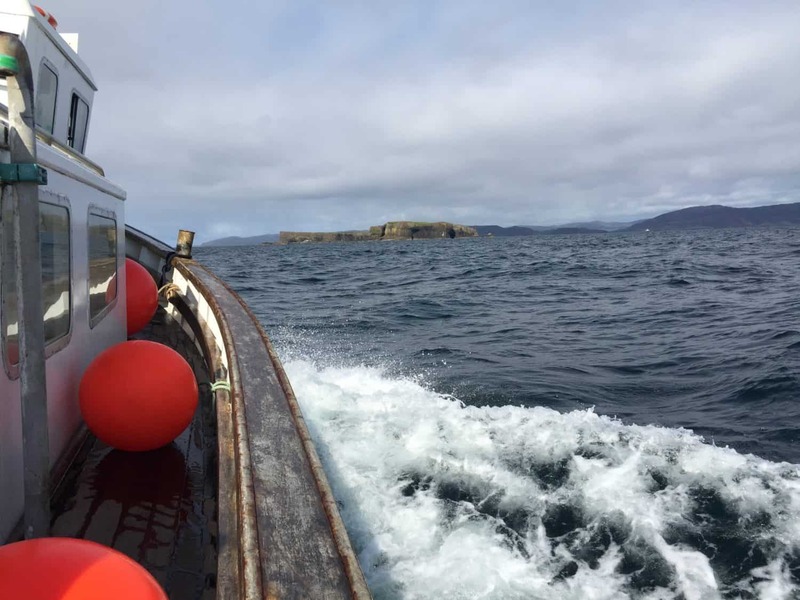 During the spring and summer this is a nesting ground for puffins, and I was SOOOO bummed to miss them (we were there in early September). Imagine if this was covered in puffins!!! But it was beautiful nonetheless. 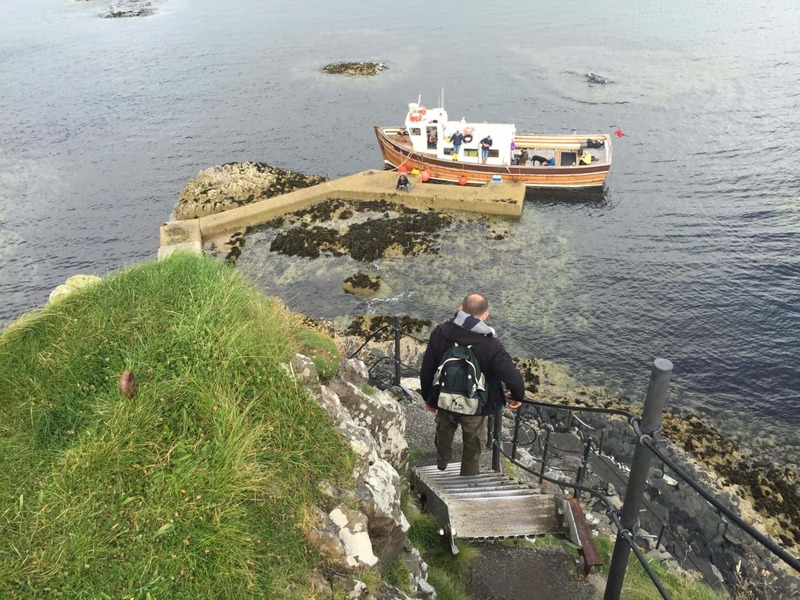 It seemed like it had only been a few minutes when we had to board the boat to head back to Iona, but we really squeezed every minute out of our time on Staffa. 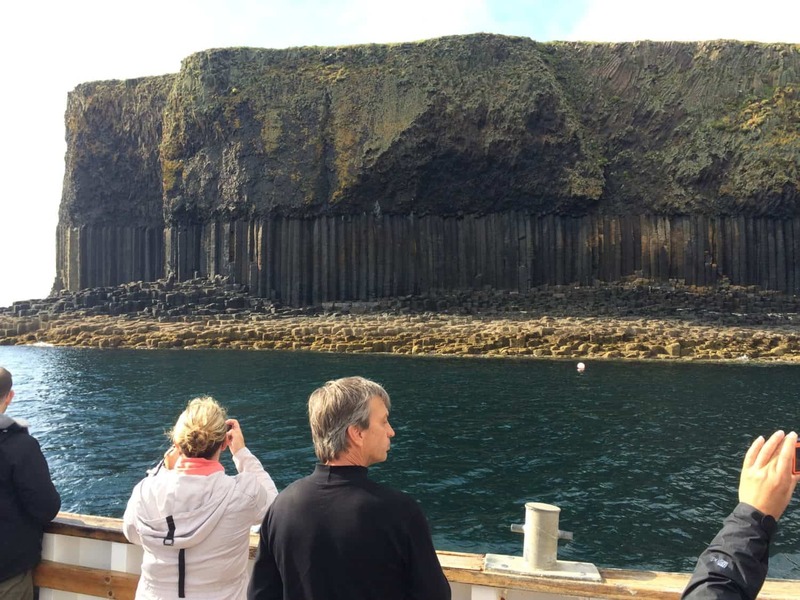 Our trip with Staffa Tours was arguably our favorite part of our entire Scotland trip, and I’d recommend finding a way to fit it into your itinerary no matter what. 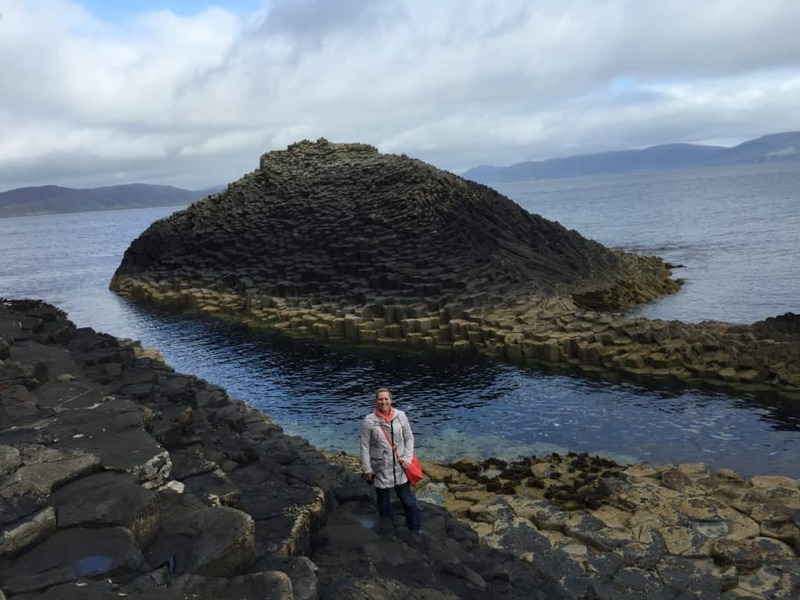 The Isle of Staffa is one of Mother Nature’s great wonders! 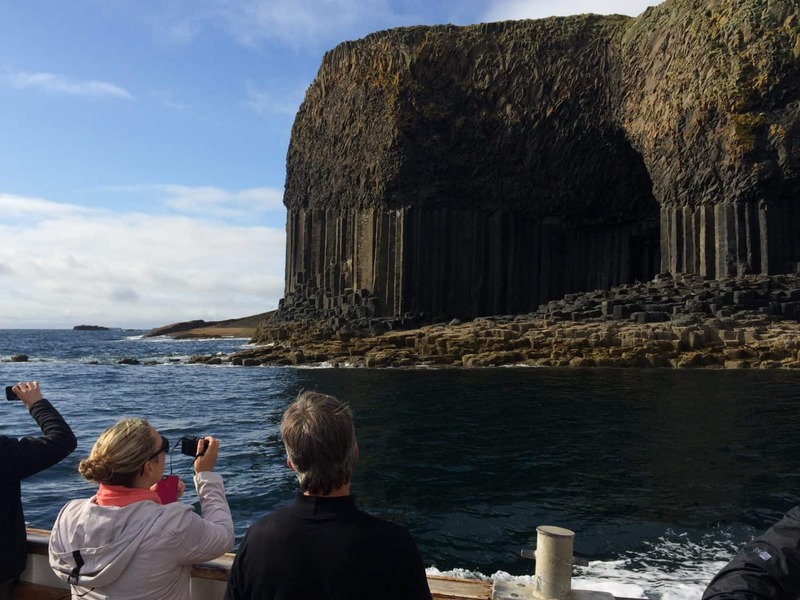 And hats off to Staffa Tours, we had such a great time with them. 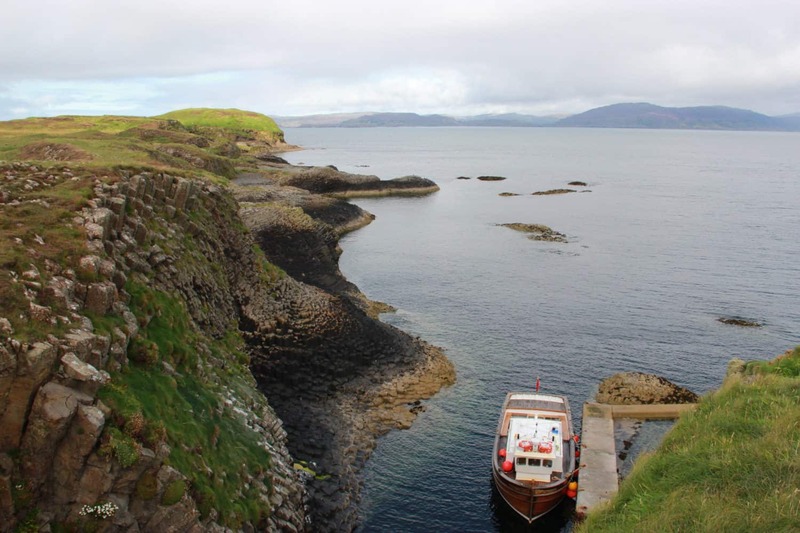 There are a few tour companies that run out to the Isle of Staffa. 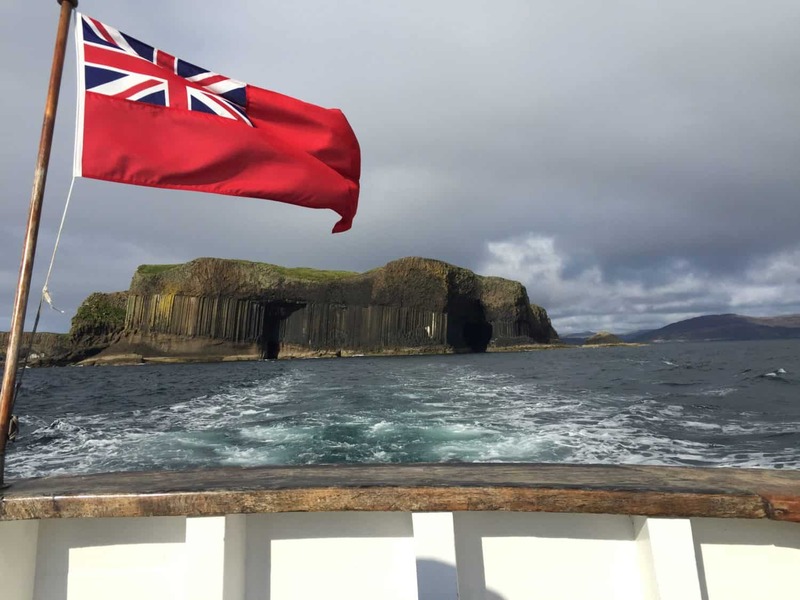 We took Staffa Tours, and were very happy with them. Generally, a few boats run each day; we took the afternoon one, and you should plan on a half day total (it’s probably 3 hours or so). As with all boats, it can be a bit chilly and windy, so bring a jacket. Book ahead, but ask about weather contingencies and make sure they have a way to contact you. They won’t go out if the sea is too rough. We stayed on the tiny Isle of Iona and that’s where we caught the tour boat. 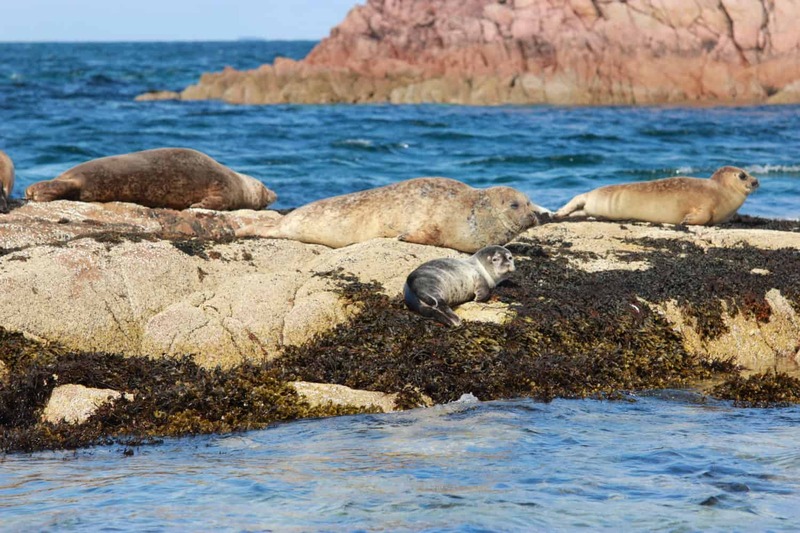 You can read all about our adventures in Iona too! 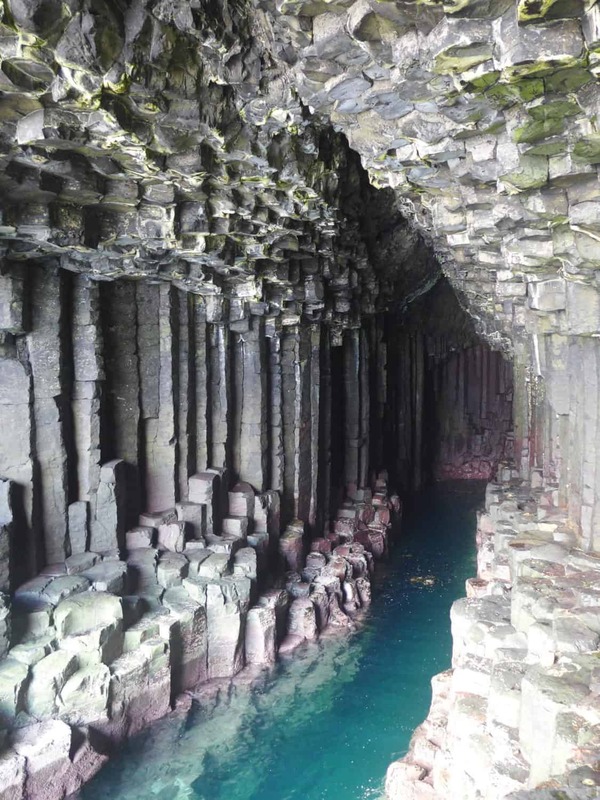 Have you been to Staffa and sung in the Cave of Melodies? 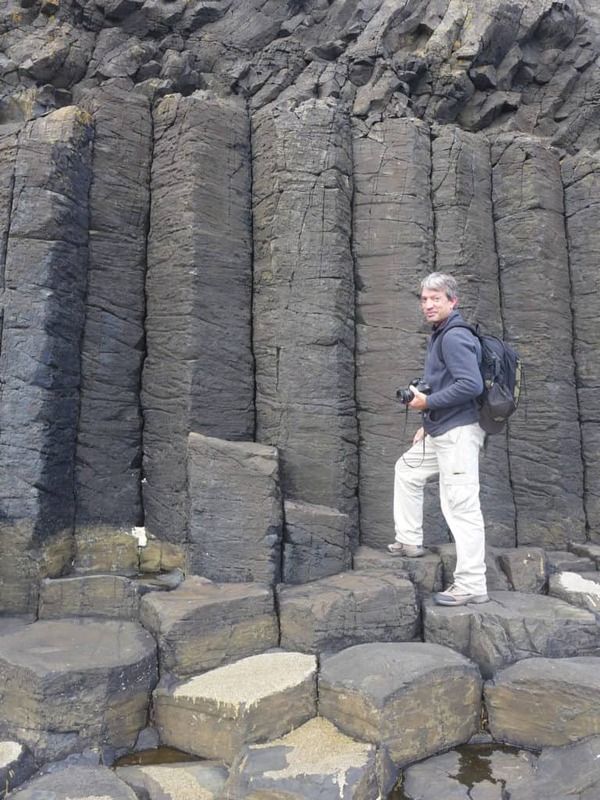 Or visited one of the other destinations with the crazy hexagonal basalt rock formations?? I was not compensated in any way for this excursion. All opinions are, as ever, my own.